Just a preview of something I've been working on. 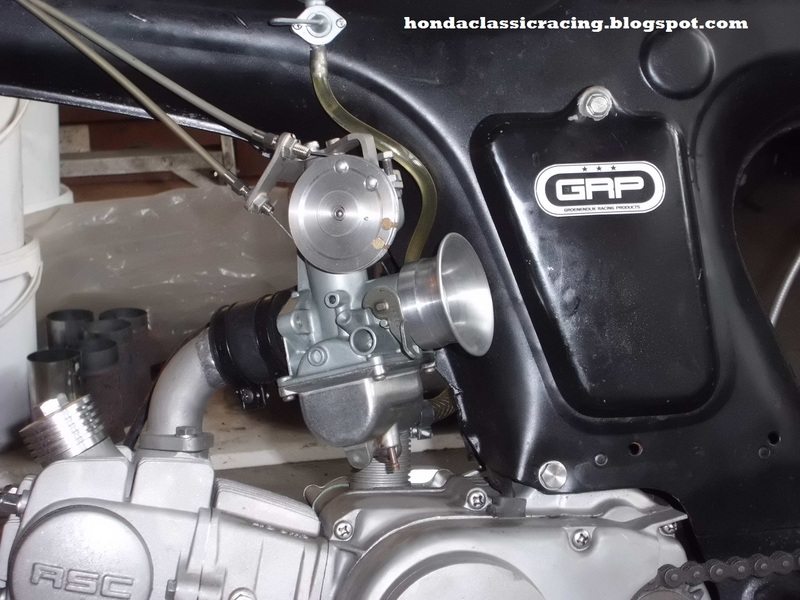 A Honda CB500f carburetor modified to work on a one cylinder bike and with some styling like the old CR carbs. Still needs finishing and testing though. That thing's AWESOME. Somebody should offer a KIT for this type of conversion. People could grab an old rack discarded by the SOHC-4 crowd, probably 'cause it's got one messed up unit - Maybe a broken float-pivot post? 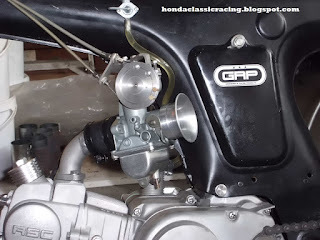 And build three awesome carbs for next to no $$$, have three different tunings for your engine which could be plugged on & off like nothing, with perhaps a honed-out venturi bore on the one, a sleeved-down throat on another, or of course some different jetting in each one. How much simpler it could be if the whole carb would pop off of the throttle wheel and intake spigot, quick as you please. Honestly, if you've got a ready-to-fit KIT for these things I'll buy at least the TWO of 'em. You can use this Honda VIN decoder to get info on this CB500f.